Are you planning a trip to New York City soon? I have been lucky enough to visit NYC many times over the last 15 years with and without my kids. My parents live in New York, so occasionally we make to NYC during our visits. By occasionally I mean that every time we step foot in the state of New York we eventually end up in NYC. I am certainly not an expert on NYC, but I do have various recommendations on where to stay, where to eat, and what to do while you are in New York City. I’ve included all of them in this New York City Travel Guide. 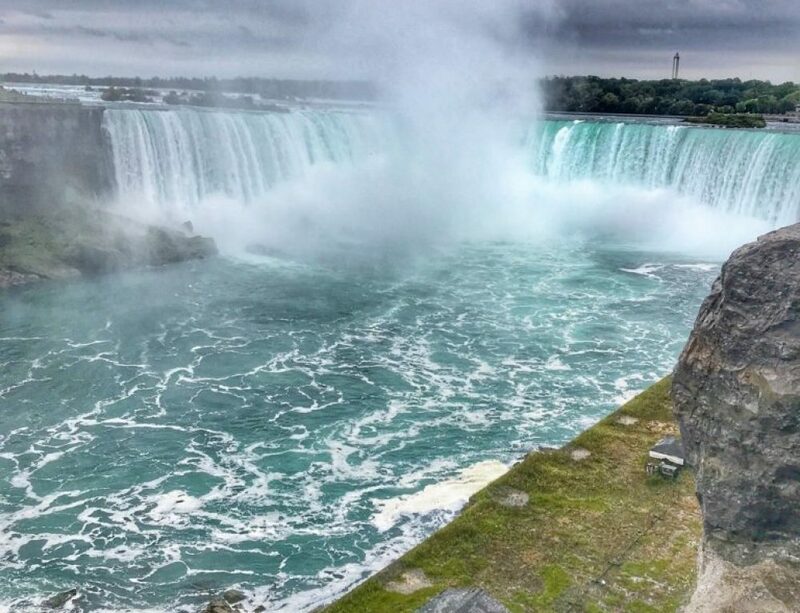 All year long, visitors can enjoy the major landmarks and attractions here, like seeing the Statue of Liberty or visiting Times Square and Ground Zero. 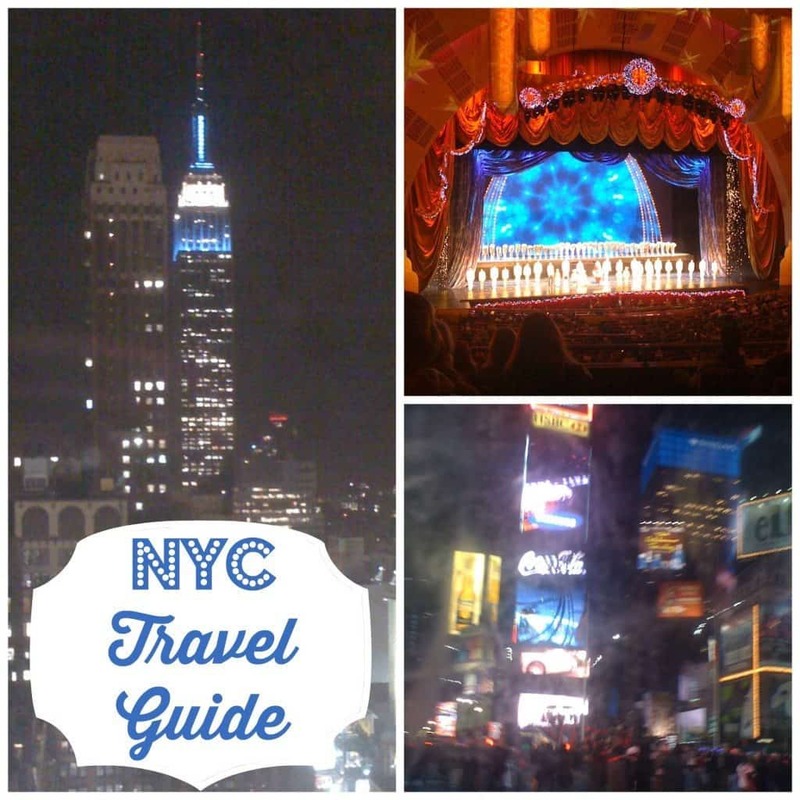 A plus on any trip to New York City is the abundance of free things to do around the area. For example, during the summer kids can play free games like Kubb at Bryant Park while parents enjoy a drink at the cozy park bar and During the winter season, everyone can ice skate at Bryant for free. Bryant Park isn’t the only fabulous park you should go to. New York has the most playgrounds (per square root of population), 0.6645, so you can find a playground almost anywhere you go! 15 Free Things to do in NYC You can save a lot of money if you do one free activity a day. 9/11 Memorial If you’ve never seen it, I really think you should. American Girl Doll Store – This is one of the most excessive things I’ve ever seen. Bryant Park – I adore this park year round. We go here every single time we are in the city. Ellis Island – Finding your name on the wall is amazing. The Highline – The Highline is an old railroad that they turned into a pedestrian walkway. Statue of Liberty – Another attraction that everyone must do at least once. Top of the Rock – This is a great place to catch sweeping views of the city, including Central Park. The Ride – The Ride is a tour bus that sticks to mainly the area around Times Square. The tour guides are silly, sarcastic, and will keep teens and tweens super entertained. Obviously a major thing to do in NYC is shop. We love to go shopping when we are there. Here are some of our favorite shops to hit: Bloomingdales, H&M in Times Square, and Uniglo on Madison Ave.
Soliders, Sailors, Marines, Coast Guard and Airmen Club (Military Hotel) – This hotel is for military and their families, as well as police and firefighters. The rooms are substantially cheaper than other hotels in NYC. The rate per person and it is based on rank and age. This hotel does not have an elevator and the family rooms are on the fourth floor. Our family room had six twin beds in it and a desk. There was also a tv, with cable and an AC unit in the window. Bathrooms and showers are shared by gender. Each morning in the lobby, they provided free coffee and free bagels. There is free wifi in the building and computers and printers on the main floor. There are two subway stations nearby. There is no parking, but they will give you a coupon at the check in desk for parking. Residence Inn NYC Eastside – One of our favorites. Row NYC – The most affordable place to stay near Times Square that we’ve found so far. 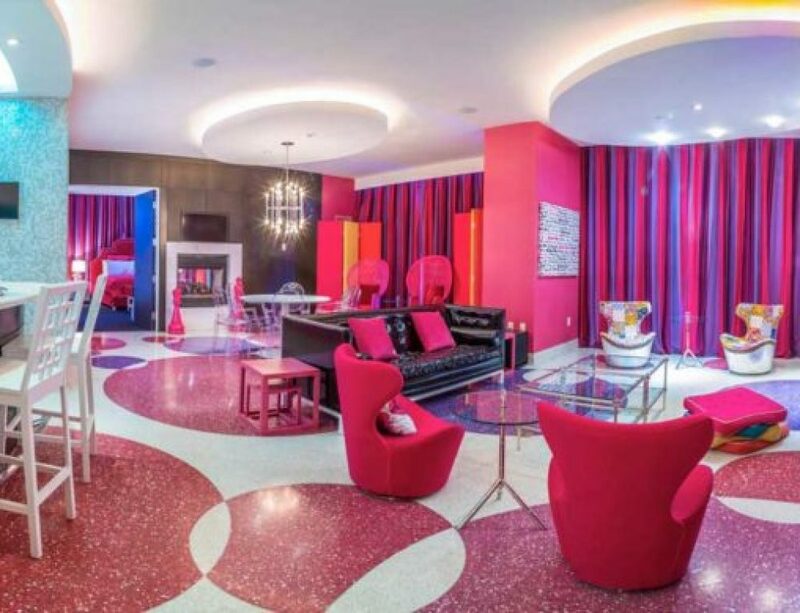 Their penthouse is amazing too, and affordable. Warwick – Good location, near the famous shops and central park. They have large rooms, good for families. I think all of their rooms have double beds. You have to pay for Internet. We had zero view. The room and the bathroom were clean. The bathroom has a bathtub. New York has the most restaurants (per square root of population), 7.5828. 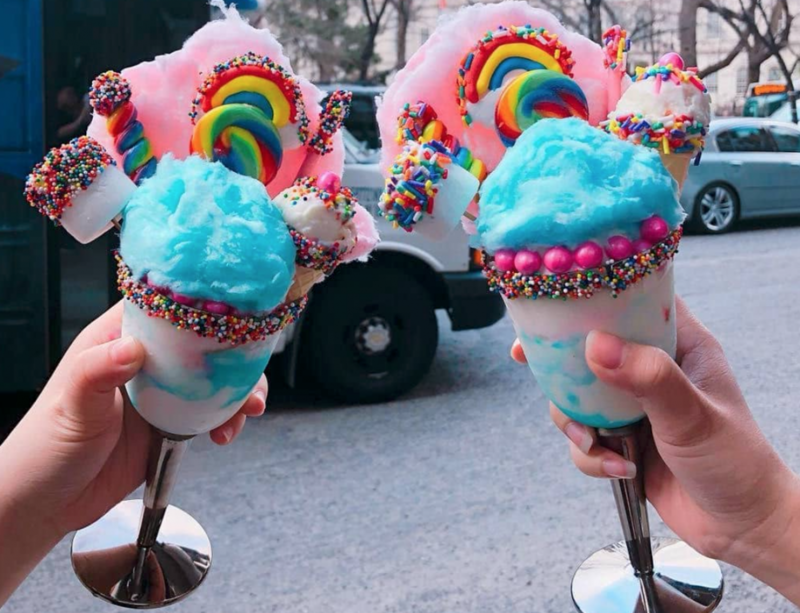 With this in mind, be sure to indulge in some over the top dessert experiences in NYC, like ice cream creations at the famous Serendipity, crazy milkshakes at Buns Bar, and more massive milkshakes at Black Tap. Calle Dao a Cuban/Chinese fusion restaurant with an excellent happy hour. Lucy’s Cantina – The best Mexican food I have had in NYC. Malthouse – Near the 9/11 memorial. 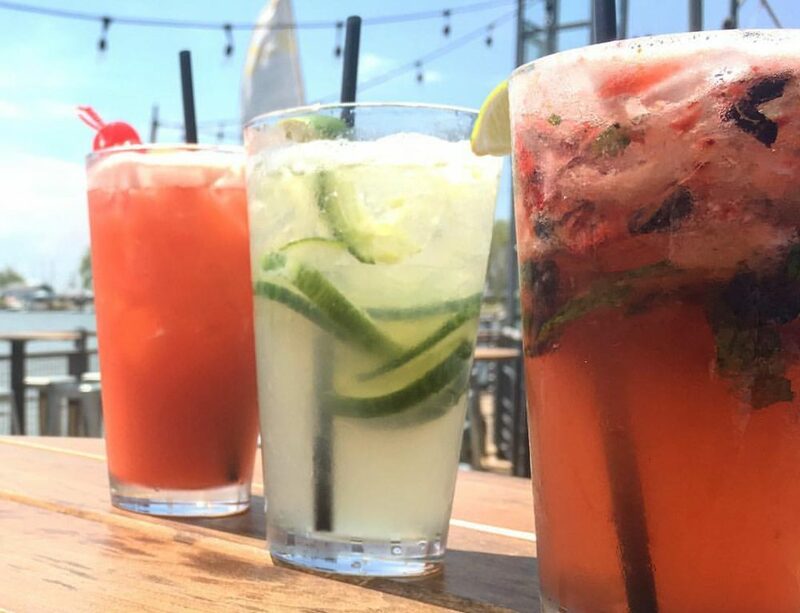 They have the best brunch with bottomless brunch cocktails on Sundays. Tir Na Nog – Best Irish food in NYC and their Sunday brunch is so good. Junior’s – The best hot chocolate in NYC! If at all possible, visit during the holiday season to see the Rockettes, Macy’s Christmas windows, Dyker Holiday Lights and the famous Rockefeller Center Christmas tree. While you’re there, take a spin around the ice skating rink. Ice Skating at Rockefeller Center – Not free. $25 admission per person, $13 for a skate rental. They offer military members 50% off admission. 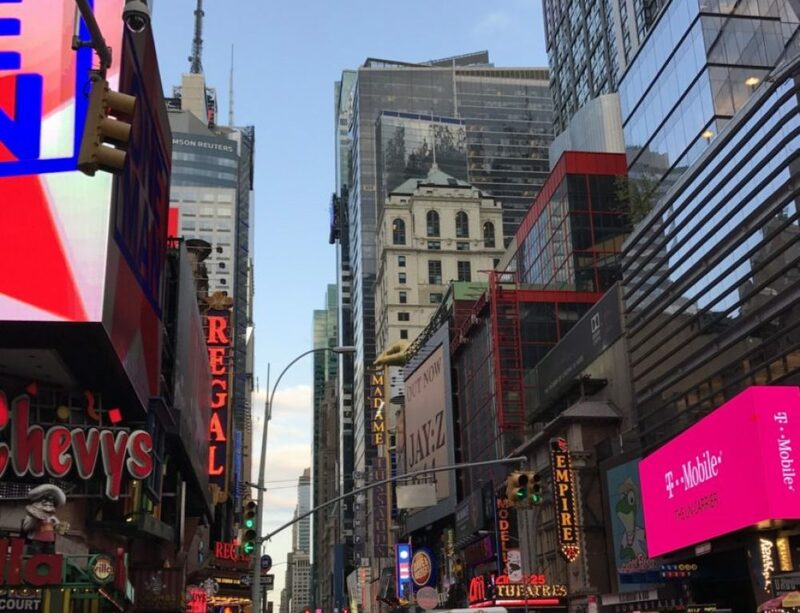 15 Ways to Save Money in NYC – If you only implement a few of these ideas, you will save quite a bit of money in the city! FreeStyle Cruise Pass – 1 day Unlimited hop-on, hop-off ferry access. Pick 1 or 3 Attractions. Save 40% or More on Top NYC Attractions! Visit New York’s “Statue of Liberty & Ellis Island” and 5 other attractions a savings of up to 40% with CityPASS. Shop Today! NYC isn’t difficult to get around, because there are lots of options. If it’s nice outside and less than a 30 minute walk, we usually walk. I do not recommend renting a car. It will cost you big bucks to park it.